An Awful Day For Kites: Kangaroo. 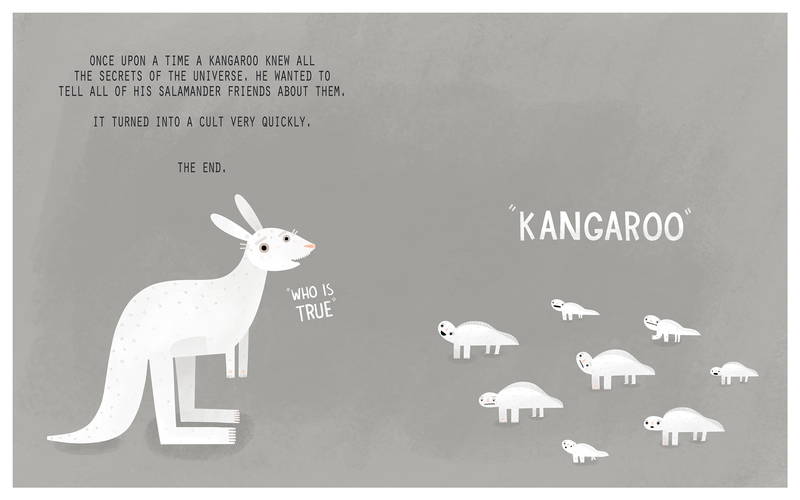 This entry was posted in An Awful Day For Kites and tagged An Awful Day For Kites, cult, illustration, kangaroo, salamanders, sarah goodreau, secrets of the universe by sarahgoodreau. Bookmark the permalink. Salamanders are always prone to creating cults. They just wander around looking for a new leader. Hopefully this is a benevolent cult. really how cults work…maybe !